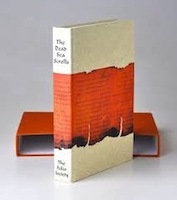 The Folio Society is a privately owned London-based publisher, founded by Charles Ede in 1947 and incorporated in 1971. It produces illustrated hardback editions of classic fiction and non-fiction books, poetry and children's titles. 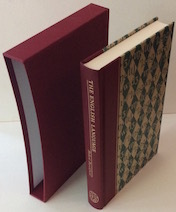 Folio editions feature specially designed bindings and include artist-commissioned illustrations (most often in fiction titles) or researched artworks and photographs (in non-fiction titles). 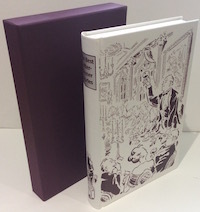 Many editions come with their own slipcase. 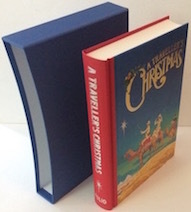 A Folio book is a unique object, one in which typography, illustration, paper, and printing and binding techniques all play a part in creating a harmonious whole. 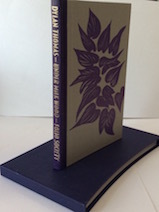 The Folio Society has celebrated the particular joy to be derived from owning, holding and reading a beautiful printed edition. 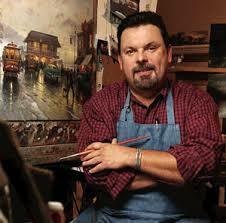 - this is what makes a Folio collection something to cherish." 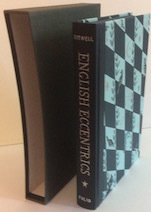 cj-books-etc are very pleased to offer several Folio Society editions. On the western shores of the Dead Sea, about eight miles south of Jericho, lies a complex of ruins known as Khirbet Qumran. It occupies one of the lowest parts of the Earth, on the fringe of the hot and arid wastes of the Wilderness of Judea, and it today, apart from occasional invasions from coach loads of tourists, lifeless, silent and empty. But from that place members of an ancient Jewish religious community whose centre it was, hurried out one day and in secrecy climbed the cliffs in order to hide away in eleven caves their precious scrolls. No one came back to retrieve them undisturbed for almost 2000 years... until 1947. This translation of the scrolls by Geza Vermes enables the general reader to come into direct contact with the literary works found at Qumran. The text has been selected from the acclaimed book by Geza Vermes 'The Complete Dead Sea Scrolls in English' and the aim has been to include all the more complete scrolls especially those, which describe the community that created them and throw light on its customs and beliefs. They include community rules and laws on peace and war, hymns, songs and psalms, and a number of fascinating biblical texts and commentaries. This beautifully produced book includes copious full colour and black and white prints and come complete in a sturdy protective sleeve. An ideal gift or pure self-indulgence! £19.75 with FREE delivery for UK addresses. This book recounts the kidnapping in 1944, by two young officers (Moss and Patrick Leigh Fermor) serving in the S.O.E. (Special Operations Executive), of a German General from his headquarters in Crete and the spiriting of him over the mountains of that island into a motor-launch and so to captivity. It was written down crisply during and straight after the event by one of the young officers and at once banned by the War Office until 1950 when they allowed a shortened version to be published. 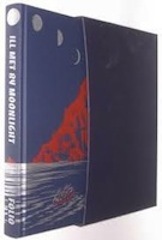 This edition follows the text of this original published first edition. £19.95 with FREE delivery for UK addresses. 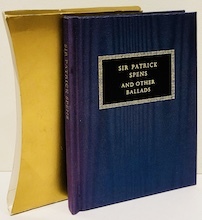 "Sir Patrick Spens" is a Scottish maritime ballad about a disaster at sea and has been praised as an important example of balladic poetry though its origins are not known in detail. Three other wonderful ballads are also included with engraving illustrations. 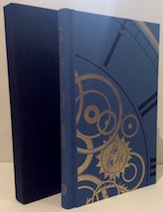 This edition is a splendid Folio hardback complete with gold coloured slip case. Some fading to spine but pages clean and unmarked. An ideal pocket edition for travel distraction that doesn't involve an electronic device! Written between November 1943 and July 1944, Graves' prose narrative describes the journey of the Argo and her crew in splendid detail and scholarly mastery. His sure handed lightness of touch saves us from a tale which could so easily have become portentous. 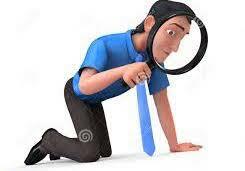 But the narrative is anchored in a wealth of detail quarried from three decades of study into the classics. The reader could not only build the Argo from his specifications but launch it while celebrating the correct sacrifices as well! Graves feeds his Argonauts on 'flat cakes made of spelt, dried tunny steaks, jars of dolphin oil and sweet pickled carcasses of mutton', and sets a course for them which has often been a notorious problem even amongst classical authors. Taking into account detailed information on tides, currents, winds and landmarks, he succeeds in making the journey of the Argo seem so real! 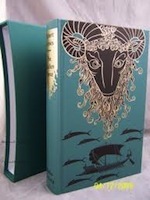 This beautiful edition in teal coloured cloth with black and gold embossed illustration and sturdy slipcase, and copious full colour art work illustrations by Graham Baker, is available from cj-books-etc. As new £15.99 with FREE delivery for UK addresses. As new £5.75 with FREE delivery for UK addresses. Used good. Box has some surface damage to the top and sides but is still structurally sound, book is in great condition with only some fading to spine lettering. Pages clean and unmarked. Translated by Edward Fitzgerald and first self published in 1859. It was over the years received with mixed feelings but has proved itself to be a work of art in its own right. This beautiful edition will give pleasure to any who read it. 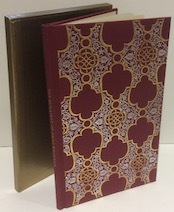 Folio hardback with gold effect slip case. Used Like New. £10.00 with FREE delivery for UK addresses. £14.00 with FREE delivery for UK addresses. £18.00 with FREE delivery for UK addresses. A curious compendium of historical slang collected from the best authorities. £8.00 with FREE delivery for UK addresses. Used as new. Excellent condition throughout. £9.99 with FREE delivery for UK addresses. £10.99 with FREE delivery for UK addresses. 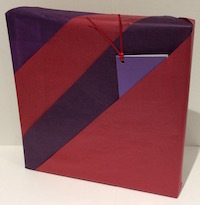 As new £16.00 with FREE delivery for UK addresses.